Six Pet Poison Myths - Solved! Do you know the truth behind these pet poison myths? Myth #1: It is safe to use human toothpaste on my dog’s teeth. Many human toothpastes contain xylitol, an artificial sweetener that causes a rapid drop in blood sugar and liver failure in dogs. Xylitol is also commonly found in sugar-free gum and candy, as well as certain medications and nasal sprays. Symptoms and treatment: Symptoms of xylitol ingestion include weakness, vomiting, seizures and liver dysfunction or failure. Treatment typically involves hospitalization, blood sugar monitoring, glucose administration and intravenous (IV) fluids. Prevention: Be sure to check labels and keep all items containing xylitol safely out of your dog’s reach. Myth #2: Poinsettias are highly toxic, especially to cats. Despite their reputation, poinsettias are only mildly toxic to cats. Lilies actually warrant more awareness as they are much more dangerous to our feline friends. 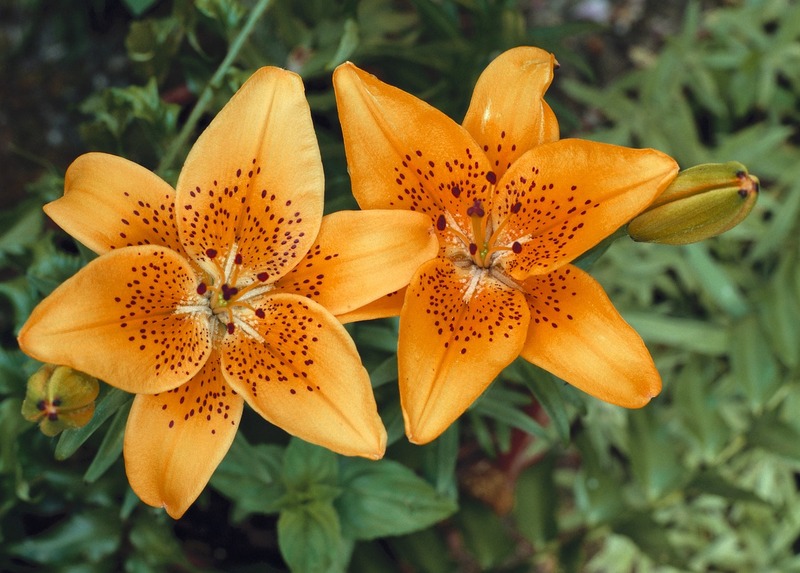 Several varieties of lilies—including the Easter Lily, Tiger Lily, Day Lily and Star-Gazer Lily—can cause severe kidney failure and death. All parts of the plant are poisonous. Symptoms and treatment: Symptoms of lily toxicity include vomiting, lethargy, dehydration, drooling and loss of appetite. Treatment typically involves hospitalization, induced vomiting, activated charcoal administration, gastric lavage, IV fluid administration, blood tests to monitor kidney function and supportive care. Prevention: The best way to prevent lily toxicity is to keep these flowers out of the house altogether. Be especially diligent around holidays or any time you may receive flowers as gifts. When sending flowers to cat owners, be sure to specifically request a bouquet with no lilies. Myth #3: Veterinary medications can be harmful to my pet. While all veterinary medications are safe when used as directed, overdose can pose a serious risk. Many drugs, like Rimadyl, Sentinel and Comfortis, come in chewable tablets that look and smell like treats, which can be especially enticing. Symptoms and treatment: Symptoms of drug poisoning include vomiting, diarrhea and lethargy. Treatment involves induced vomiting, IV fluids and blood tests to monitor liver and kidney function. Prevention: Keep all medications out of your pet’s reach. Remember to seek veterinary care immediately if you notice a chewed bottle or find pills on the floor. Myth #4: Flea and tick medication formulated for dogs may also be used safely on cats. While perfectly safe for use on dogs, many spot-on flea and tick products such as Activyl Tick Plus and K9 Advantix contain a synthetic chemical called permethrin that is toxic to cats. Poisoning occurs after cats are accidentally or inappropriately given flea treatments indicated for dogs or after being in close contact with a dog recently treated with one of these products. Symptoms and treatment: Tremors and seizures are the most common symptoms associated with this type of toxicity. Treatment involves tremor and/or seizure control, bathing to decontaminate the skin and supportive care. Prevention: Read and follow label instructions carefully. Any products labeled for dogs only should never be used on cats or other animals. Myth #5: I can give my pet human medication to relieve pain. Well-meaning pet owners often give their pets drugs intended for human use with the reasoning that what works for one will work for all. Unfortunately, however, our pets’ bodies are not like ours. While many human medications are also used in animals, the dosages, metabolization and effects of these drugs vary greatly from species to species. In dogs, ingestion of human non-steroidal anti-inflammatory (NSAID) drugs like Advil, Motrin and Aleve can result in stomach and intestinal ulcers and kidney failure, while Tylenol (acetaminophen) can cause red blood cell damage and liver failure. Cats are even more sensitive to these types of medication. Even one regular strength tablet of Tylenol is enough to fatally poison a cat. Symptoms and treatment: Symptoms of this type of poisoning include vomiting, diarrhea, lethargy, difficulty breathing, increased urination or thirst, abdominal pain, loss of appetite and seizures. Treatment may involve hospitalization, induced vomiting or gastric lavage, IV fluids and blood tests to monitor organ function. Prevention: Never give your pet any medication without consulting a veterinarian first. Be sure to keep all medications out of your pet’s reach and seek immediate veterinary care if your pet has ingested any medication not intended for them. Myth #6: Human food is safe for pets to eat. There are a wealth of food options for your pet that go beyond kibble, from boiled chicken and rice to antioxidant-rich veggies. But beware: Some human foods, such as coffee, alcohol, chocolate, onions, garlic, leeks, avocado, salt, yeast dough, macadamia nuts, grapes and raisins, should be avoided. Symptoms and treatment: Symptoms of food toxicity may include drooling, retching, vomiting, diarrhea, hyperactivity, fever, distended belly, collapse and seizures. Treatment largely depends on the type and quantity of food ingested. Prevention: Be aware of all human foods that could pose a threat to your dog or cat and do your research before feeding your pet anything new. Remember, many common household items may seem unassuming but can actually provide a serious threat to our furry friends. In case of a poisoning emergency, contact your nearest emergency vet.